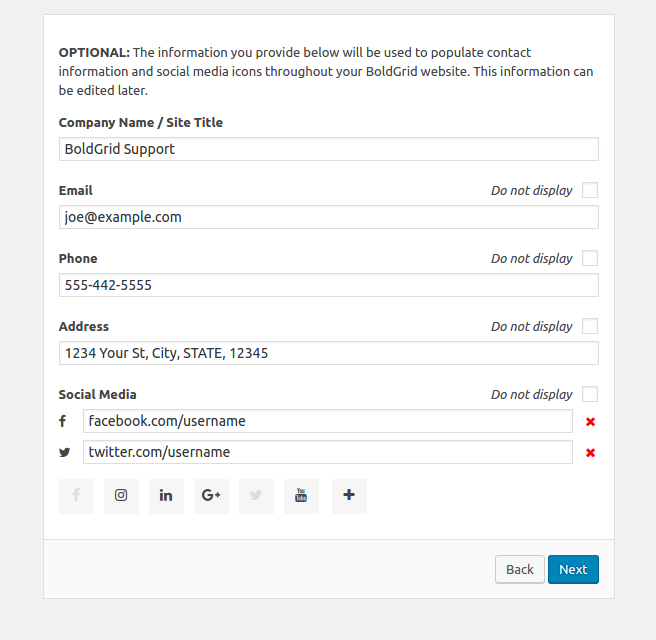 One of the premium features of BoldGrid is the Staging option. 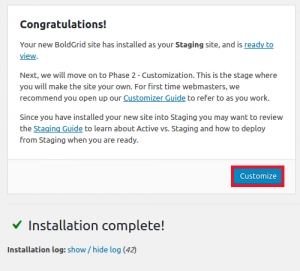 Staging is a location created to hold a second website within the BoldGrid Administrative Dashboard. 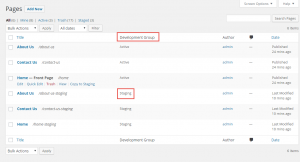 Staging allows you to create a new or “staged” site while you still have an “Active” or “live” site. 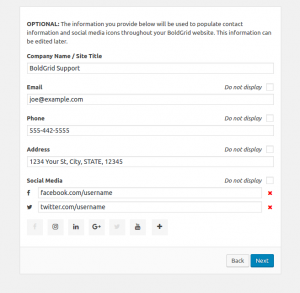 This means you can work on building your new site without removing your current and visible WordPress website. It’s important to remember that the Staging site is not visible to the public. 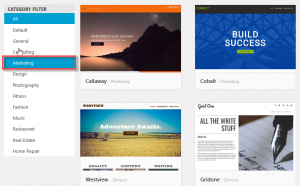 In this article, we will set up staging to show how you can build another website without your existing site. 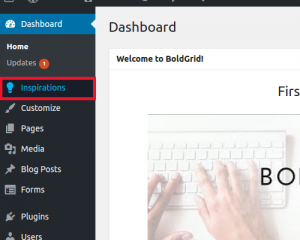 Log into your BoldGrid Admin Dashboard to set up staging. In the menu at left, click on Inspirations. 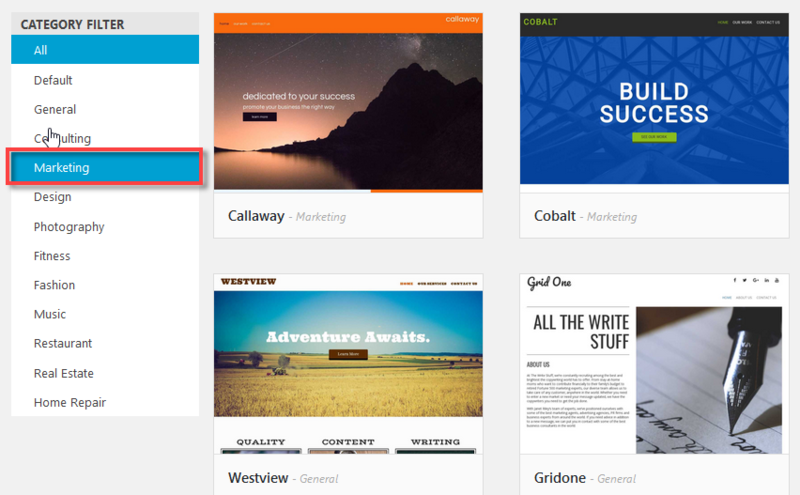 Select a category for your staging site. Select an inspiration for your staging site. 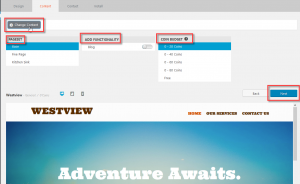 Confirm your choice by clicking on Select in the bottom right hand corner. library interface. Click on Next in order to proceed. 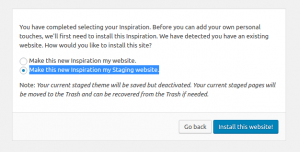 Choose Keep my existing website available for visitors and make this new inspiration a Staged Website (if you have never setup a Staging site), or select Make this new inspiration my Staging Site (if you are replacing an existing staging site theme. Click on Install this Website to complete the installation. At this point, you will see a message congratulating you on your staging installation. Click on Customize to proceed to the next section. 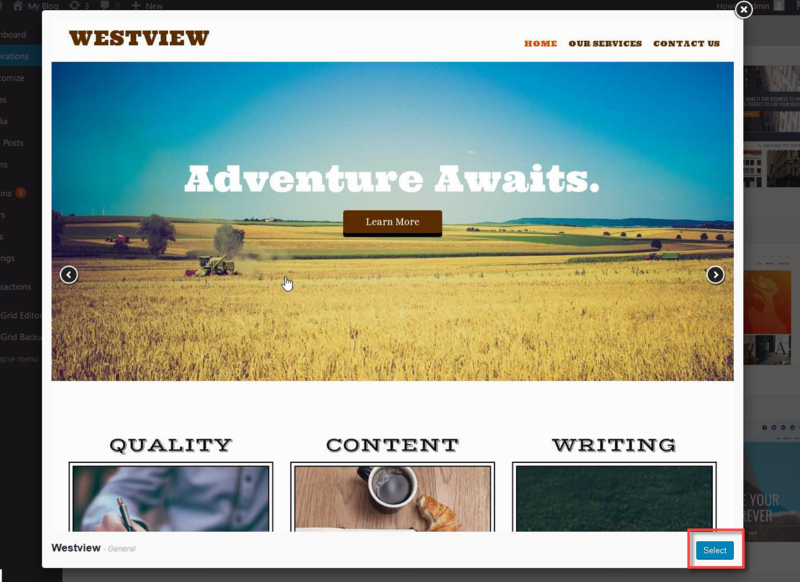 When you have the Staging Site loaded, you can edit a few different ways. You can edit its Pages, or you can use the Customize > Staged Site option to modify the Staging site as needed. 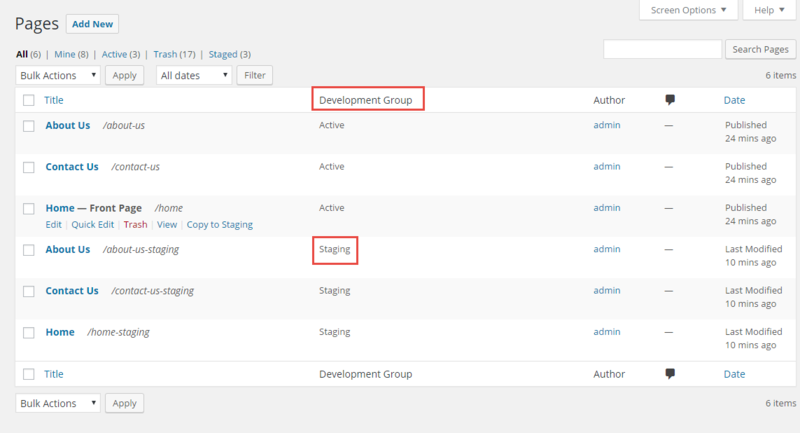 Finally, the last step in seeing the staging site is by clicking the on title bar in the Admin Menu and then click on Staging site. 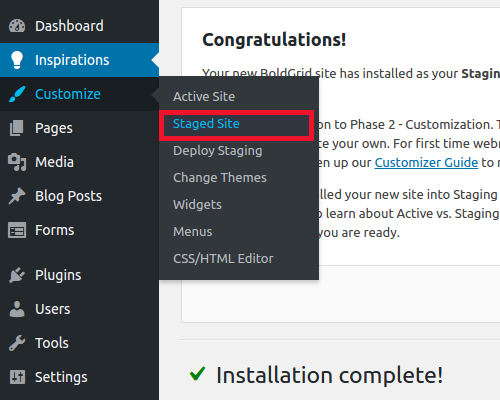 This will bring up the staging site so you can view your changes.